An international team of astronomers has discovered an ancient and dramatic head-on collision between the Milky Way and a smaller object, dubbed ‘the Sausage Galaxy’. The cosmic crash was a defining event in the early history of the Milky Way and reshaped the structure of our Galaxy, fashioning both the Galaxy’s inner bulge and its outer halo, as reported in a series of new papers. 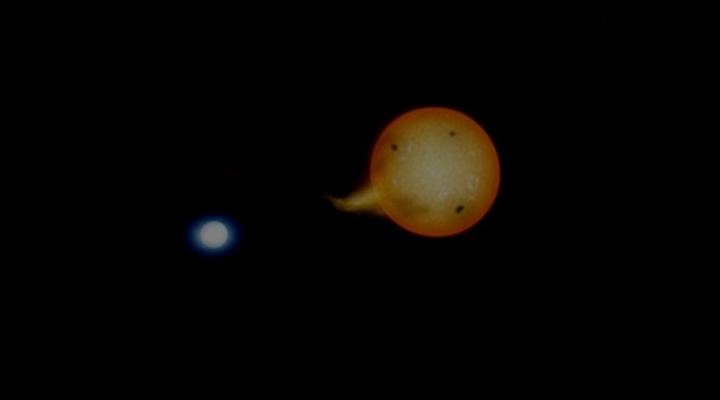 An international team of researchers, with the assistance of amateur astronomers, have discovered a unique binary star system: the first known such system where one star completely eclipses the other. It is a type of two-star system known as a Cataclysmic Variable, where one super dense white dwarf star is stealing gas from its companion star, effectively ‘cannibalising’ it. Variable stars, RR Lyrae, transients, supernovae, microlensing events.